Heat a 6″ or 8″ good quality nonstick pan that has been sprayed with nonstick spray over low-medium heat. Pour in egg whites. 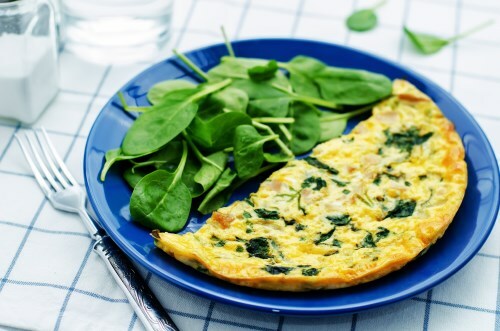 Sprinkle with fresh spinach and feta. Cover with pan lid. Let set for 5 minutes or so, while checking for doneness. This would be when you no longer see uncooked egg whites settling on top of the omelette. Fold omelette in half onto plate and top with salt and pepper to taste.